Finishing some engraving for a client carried me past midnight yesterday, so the commentary was never finished. Here is last night's ... and more. Two days ago the facts of our miserable artistic existences were lined out, and today there are some ameliorations to consider -- some of which are reframings of the guide to nonpop survival and its followup presented back in June. Richard Dyer has written a final article about the problems as well, outlining the dilemmas faced by composers across the years, but intimating at last that the problem lies with the composer. Yes, he blames the whole music-service class, but you can hear the meaning rattling behind the words. Let's fix it today. (The order below is taken from the paragraph toward the end of the September 25 commentary). Feedback is a process by which the composer grows, whether that is considered mere 'improvement' or depth or, at worst, an invitation to leave the field of composition. 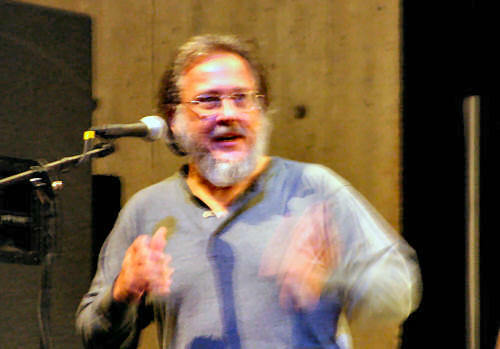 The latter is rare if only because the collection of sounds assembled by a single personality will correspond with expectations and interests of few performers and listeners, and those few, living as they do contemporaneously with the composer but absent the artist's vision, are unable to re-assemble the sounds passing in real time into its structures of multiple dimensions. In other words, getting nonpop -- particularly music beyond the three-minute limit -- is a foreground activity anticipating the active participation of the performer and listener. As recently discussed, grasping how to perform a composition is not likely when it is written, and arrives perhaps a generation later. This is the extended-time feedback which is the looping hell of any artist, instilling self-doubt, personal crisis, and suicide. Putting aside that romantic artist notion, however, allows a clearer view of the less existential problem to be solved. We are in a crushing age of availability. For example, these commentaries are read by no more than a dozen people on the day they appear, and fewer than a hundred drop by each month. Does that paucity of attention reflect their value or integrity or meaningfulness? Perhaps. But what it really reflects is the surfeit of choices. The successful retailer's motto is, "People don't want choice. They want what they want" -- which is why so many retailers fail. They are unable to deliver what their clientele wants at the value that is expected. Don't worry. This is not about to jump into a give-'em-more-Brahmsian-passion fingerwag. The point is that the retailer, like the composer of new nonpop, is perpetually at the edge of going out of business. Composers don't literally go out of business because as a class they reject the notion that economics can drive their work, despite their pleas that more time and money are always needed. The romantic notion of art nevertheless continues in the postmodern age. The retailer's lesson is that understanding the means of introduction, presentation, and branding are integral to the visibility and desirability of our work. Notice there is no claim to content or quality because they are inherent in the consequences of the previous three characteristics, and the only real feedback mechanism in place is the failure of a product to turn. We need to work harder to achieve valuable feedback, if only because the grant and academic wheels will continue to turn for well-connected composer, due to or in spite of wider reaction. The first level of feedback is self-criticism. Failures of a performance to meet expectations can be placed on seemingly objective forces (lack of rehearsal time), subjective qualification (lack of performer skill or interest), the technical realm (the appropriateness of the composition for the performers, venue, and audience) and self-analysis (if the composition is any good at all -- don't argue with me). For example, my new piece Eventide is presently being rehearsed, and it appears that the composition is inappropriate in terms of rehearsal time and technical demands. The composition is being revised, as have been pieces from solo (Northsea Balletic Spicebush) through orchestral (Icecut) and many others in between. The feedback improves the likelihood of a meaningful performance without destroying the work of art. The feedback reduces distortion. To switch metaphors, feedback also reveals problems to be solved: overcoming performing weaknesses, eliminating unexpected sonic artifacts, realizing the structure is not solid, and discovering the more subjective issues of the music becoming pedantic, tiresome, confrontational, or fawning. Composers can improve the feedback environment, even if they cannot yet increase the number of performances (the ideal feedback state). Composers can make themselves available to accept multi-sensory input about the quality of the score's presentation, the source of rehearsal flaws, the focus of the director, and the sound of the music itself (once over the Copland moment). Composers can listen to the conductor and especially the musicians, particularly in large ensembles and in circumstances that encourage candor, and welcome (even if ultimately rejecting) the suggestions offered. Composers can focus on the audience by not sitting in it at every performance (a temptation difficult to resist) and concentrating instead on audience cues and clues to their interaction with the music. And, of course, composers can seek out and listen to the reactions offered by the audience (while understanding the differences among the ten audiences). Performing musicians have expectations. They have limited rehearsal time and must overcome the difficulties of learning to perform a new composition -- even the simplest -- that are tied in with the way the music is presented. The music engraving video revealed how bound into traditional expectations performing musicians can be. So against instincts of individuality, composers would do well to create scores with the greatest amount of commonality to existing traditions of legibility. This does not mean to suppress new notational devices but to present them in a comfortable and legible way. The extreme example is found in the Major Orchestra Librarians' Assocation guidelines for preparing music. Yes, Mozart could flop manuscripts down in front of his musicians, but the landscape has changed after a century of published scores and Top 40 classical programming. Even a few years ago, handwritten parts were unexceptional for the few new compositions performed, but technology has changed that and re-rooted the expectation of a traditionally printed part. What technology has not changed is the need for legibility and proofreading, which seem to be attended to more laxly now that scores and parts can be ripped out of a printer instead of labiously hand-inked and expensively copied from transparencies. Years of training have created visual expectations, and where expectations are arbitrarily not met by the composer, the quality of performance is sacrificed through errors, reading difficulty, and resentment. Composer and thespian Robert Bonotto writes, "I go out of my way to create nice-looking manuscripts. Like Lou Harrison's calligraphy, it's a point of honor, in addition to being a pleasure to do." He also makes the case that the solitary composer can become more visible. "I do these manuscripts in restaurants, and often end up engaging in other customers who want to talk about music, but are usually shy about doing so. When they see someone carefully putting together a score ... they can't help themselves. They ask questions, you talk about new music, they learn something." The well-tuned-in composer can also relieve the tedium, he suggests. "Copland used to invite friends over when he was writing out parts; writing out parts is boring, and to do it in a restaurant is to overhear conversations with patrons who think you're too damned busy concentrating to overhear. While in a restaurant across from Harvard University, I heard a young guy brag to his girlfriend, 'Of course I'm going to get the BMW; my parents are both psychiatrists: they owe me.'" Is there a fix for this? Yes: being subversive. Composers, as evidenced by the productivity survey, have a fairly strong self-image with respect to their work. Combining this strong viewpoint with an opportunity for performance is a volatile mix. I plead guilty to creating, over and over, music that takes more time than is available to rehearse it. This is not a deliberate choice to violate an implicit artistic compact, but rather an imagination that knows, up until the moment the first note sounds, that the music is inestimably playable. I abstract my imagination and extrapolate it to cover, like a Star Trek force field, the people around me. And I am, of course, wrong. The solution is to turn the circumstances on their head: to write more music of greater variety. Won't more music simply get less rehearsal? No. More music offers the opportunity for (to use again repulsive market-oriented terms) the upsell and the value-add. Despite an imagined legacy of sour performers, the truth is that performers are often bored with the status quo. Their idealistic reasons for choosing a musical career long behind them, they work as we all do, for sustenance and gratification in varying proportion. New nonpop composers can increase the gratification with interesting music for individuals and small ensembles. The masters understood this, creating re-orchestrations and keyboard reductions to expand the reach of their work. Extractions from existing work to create new pieces were commonplace, and themes were woven into new materials. Creating such "value-added" music is not effortless, but certainly less time- and creativity-consuming than working from a blank sheet of paper. 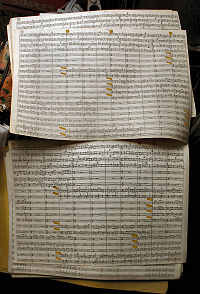 It reveals the composer's abilities, and simultaneously offers a composition to encourage a performer's interest in new sounds and the development of new techniques. Less rehearsal is needed for a previously unperformed Classical era symphony than for an American commission, simply due to the experience and expectations being met. "Value-added" compositions increase both, and thus shrink the likelihood of compositions being rushed to performance unprepared. Rather than confronting it after the fact, the composer subverts the problem of underrehearsal through systemic familiarity. This is the kind lie of contemporary nonpop, but let me first quote Daniel Wolf from his "Renewable Music" blog. In general, the exchanges involving works of music in our community are of such modest monetary value that even a description in the most micro of microeconomic terms would be an exaggeration. But the exchanges we make must have real value by some other measure, or we surely wouldn't be bothered with the enterprise, let alone engage in it with such passion. A more useful description might rather be in terms of an exchange of gifts, with any accompanying exchange of money a matter of incidental if not random noise. But it's difficult for me to imagine that the value of a gift can be meaningfully or consistently related to a level of productivity. Moreover, if I am reading Báthory-Kitsz's article correctly, the implication is that high productivity in music has value in itself. It's far from clear to me that this should be so. Indeed, it is precisely because I can hear new music as an opportunity -- when not an imperative -- for resistance to the prevailing musical culture (as well as the larger culture around that music) that I have to reject a simple attachment of music-making to the prevailing work ethic. Daniel reads me incorrectly in his conclusion. Low productivity is a symptom of a greater compositional disease, a disease whose vector is starvation and sickening of opportunity. Like a body that feeds upon itself to stay alive under stress, the body of new nonpop composition, presentation, and audition has been feeding upon itself for nearly a century. If nutrition is so badly needed for this patient, it matters little where it comes from. Consciously increasing productivity places nutrients in our feeding tube. Musicians want music that is personally meaningful, that takes into consideration their approaches or thoughts or even friends (such as the gentleman who asked for music that includes the initials of his family). Musicians want music for their instrument, especially if that instrument has little solo repertoire that takes it as seriously as they have taken learning it. Musicians are willing to pay fairly for the music, knowing that what they receive will have value beyond a single performance of music written for someone else. I do not mind considering myself a tradesman. I do not mind expecting payment and believing music should and can be created outside Daniel's "gift economy." My imagination is certainly not stunted by cash. And for a composer not engaged full-time in the practice of composition, cash would expand the time available for the imagination to range on the grasslands of possibility. 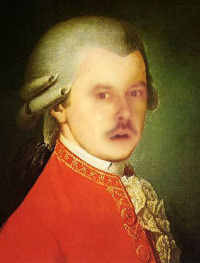 The small example of the "We Are All Mozart" project should make it evident that, though we may always struggle in patching together a combination of incomes that includes composition, there is a larger music economy that will fund, through both capitalist exchange and foundation structure, the cultural framework of nonpop. This is impossible if we dismiss our own cultures as well as economic meaning in a single breath. More on increasing involvement of the community, complete with presentation materials, can be found in the September 12 commentary. The classical music recording has long been viewed as a document of acoustic fidelity, with the widest possible dynamic range and attention to orchestral detail. Attempts to alter that long-standing formula have met with mockery, such as the RCA Victor "Living Presence" recordings from the 1960s. Discussions in highest-tech surround-sound communities focus on reproducing classical music from the centuries-old Top 40 repertoire. Similarly, electroacoustic composers are concerned with sound in its purest condition, proceeding from the direct concepts and manipulations of the composer into the recorded medium. What they have in common is a rejection of the pop realm and its dedication to putting the greatest possible amount of sound into the recorded space. The contrast of pop and nonpop is not only in composition approaches, not only in foreground vs. background listening, not only in concert presentation styles, but also in the recorded production values themselves. Recordings provide the music most people hear. Why have we made the choice to reproduce the concert hall (or the electroacoustician's studio) in the living room? The question is at the heart of a religious debate in the recording field. My viewpoint is that the recording is not a replication of an acoustic experience, but rather a version of music created for a different purpose. It is music carried around, or half-heard. When was the last time a happy group of friends or family gathered around the stereo specifically to listen to a musical composition, eyes and ears turned toward the speakers in marginally suppressed orgiastic rapture? Even among the classical listeners, that activity portrayed on Zenith advertisements of the 1950s has long expired. So where the recorded experience of the music can be enhanced, it seems to me that composers would enthusiastically embrace the differences. Even that rich-voiced NPR announcer will be playing music automatically compressed by the FM broadcast system. Recording and mastering in a way that underscores the sonic interest, with more attention to the recording than any rehearsal for performance, will reward those listeners -- far exceeding in time and geography the reach of any acoustic concert alone. This is the pop paradigm we can adopt. Performing musicians often disagree on this question, feeling that recordings represent only a fading snapshot of their technique. Indeed, recordings are a fading snapshot of the composer's work. But in either case, what lifts an image from simple snapshot to portrait suitable for framing is attention to the technique of the process external to its subject. This topic breaks out separately from the one above because our recordings are often treated as mere calling cards to further commissions and performances. Consider this: if someone is given a business card, they pocket it (after politely examining it, longer or shorter depending on the culture), but if someone is given an autographed and inscribed book, there is an increased chance that they will read it. It is the difference between mnemonic and name, neume and song, biography and person. Recordings of nonpop, aside from the sonic characteristics described earlier, should be rich and rewarding experiences. Keep control of your recording, its artwork, its notes, its commentaries. Know the audience you have and respond to them, search for the audience you want and create for them, imagine the audience you might have and prepare for them. Consider listening venues and presentation modes. For schools, remember the support materials -- recordings with an educational package. Thousands of websites offer advice for the educational marketplace, and from the simplest piano-choral arrangement through wind ensemble and orchestra works and electroacoustic exemplars, there is a search for new and inexpensive materials that can be brought into the classroom or to performance quickly and in a rewarding way for the students. Even avant-garde and performance works are hugely successful in an educational setting; aside from having written some for schools (and students having created some along with me), I have also performed classic avant-garde works from composers such as Larry Austin, Benjamin Patterson and Henning Christiansen. There is more to this topic than just placement of a performance on a traditional orchestral or chamber concert. Yes, the "new piece" is often given the least desirable and most get-it-over-with position, which means the composer has to sell it to the audience -- and perhaps to the performers as well. Are you shy? I am. But understanding that an audience wants to like a new piece, I learned to be a public speaker. Businesspeople take courses to improve their public presence. Why not us? We're musicians. We perform, we improvise. Speaking briefly with good commentary in a committed way -- personable or dramatic or mysterious or mythological or simply local -- validates not only the music, but also the musicians who have put in an enormous effort and the audience looking for a reason to enjoy their evening out. Here is an anecdote: Two years ago, the Vermont Symphony Orchestra took my new piece on tour after no small wrangle with the music that included a substantial revamp of two string parts before the first rehearsal. After their experiences with other Vermont music, this composition had a relentlessness they weren't prepared for and asked for a recklessness of playing that made the musicians uncomfortable. It was even suggested that I abstain from the first rehearsal. At the second rehearsal, there was still considerable tension; one of the cellists even asked me, "Do you love the cello or do you hate the cello?" Though I kept a hands-off approach to the preparation and made only positive suggestions when asked, opening night was still edgy. And then, with my allotted three minutes, I told the funny genesis of the piece and praised the musicians and conductor for their hard work. The next night was a better performance for the practice of having done it once -- and with the new audience, my story continued where it left off. Each night I told more about the piece from a different perspective, underscored the truth that the music would be heard only through the efforts of the musicians, and took note of sections' roles. The evening before the final performance, I gave everyone in the orchestra a small gift envelope with two CDs and some photographs that I had talked about in my concert commentaries, and thanked everyone again. That last performance was not only faster than written, but every bit as reckless as I had first hoped.